I just got tagged in The 777 Meme, which is very much like the Lucky 7 meme from last year. Thanks to Querus Abuttu for tagging me. 1. Go to page 77 of your current ms.
2. Go to sentence 7. 3. Copy and post the next 7 sentences as they’re written. No cheating. 4. Tag 7 other writers. Here's an excerpt from ATOMIC ZION, the thriller I'm revising. In this scene, Evie has a synesthetic episode where she sees Nick's emotions as colors as he visits his dying mother. Her knees buckled and she pitched forward. Grabbing the door jamb for support, she lost all sense of time and place. A surprising calmness came over her as she concentrated on the beauty of the scene. If she thought she knew Nicholas Vanko from the bits of emotions she gathered from him over the past few months, this reminded her why she fell in love with him. But this would be one moment she couldn't ever put down on paper. Just like the final moments with her grandmother, this scene between Nick and his mother didn't need to be sketched—it was now part of Evie. She wiped away her tears and wanted nothing more than to wipe away Nick's too. 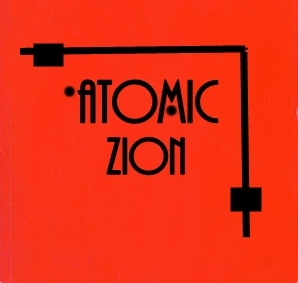 Atomic Zion was influenced by my time as the Educational Marketing Director at Frank Lloyd Wright's House on Kentuck Knob and by reading stories from Michael Crichton, Robert Ludlum, James Rollins, and Douglas Preston and Lincoln Child. On the night of his 90th birthday, a former Wright Apprentice is thrown from the fifth floor of the Guggenheim Museum in New York. The only clue to clear his grandson of the murder is a note written in Navajo code which warns "The Bear has awakened." These four words throw Nick Vanko into the middle of a decades old international cover-up where Wright Apprentices encoded WWII-era secrets about genetic experimentation into their blueprints. In order to stop a being who isn't quite human from unleashing a biological weapon upon the U.S., Nick must find Broadacre City, the fabled utopia designed by Wright, but supposedly never built. Searching by his side are an old Navajo CodeTalker, a woman who sees emotions as colors, and a Mossad agent who is really working for the Russian mafia. But can Vanko trust any of them?